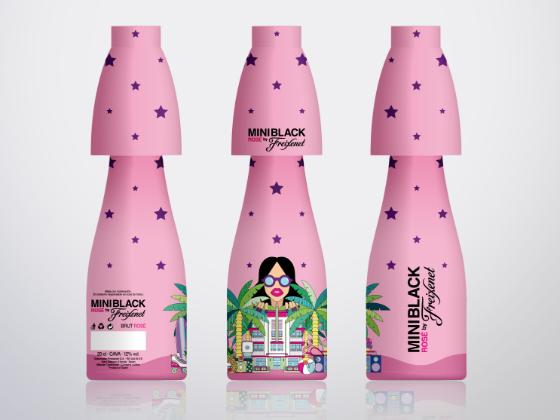 Miniblack is the most innovative and close to the new trends proposal of Freixenet to enjoy cava in an original and different way, since the packaging of the bottle itself includes a glass, which allows consumption in fashion shows and all kinds of social events. For us Miniblack is synonymous of sophistication, cosmopolitanism, latest trends and hedonism. 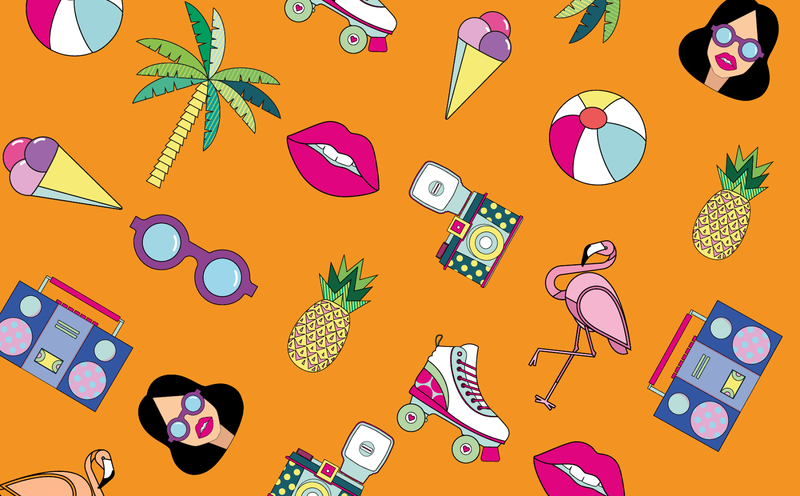 Concepts to which we have found its perfect incarnation in Miami, a city of light, Caribbean joy and color. In order to capture and evoke these concepts, we have developed a territory design based on two of the facets that best define Miami. On the one hand, the glamour so typical of its avenues, a mixture of classic Hollywood and Cuban son. On the other, the personality characteristically pop that breathes in its beaches, clubs and hotels. 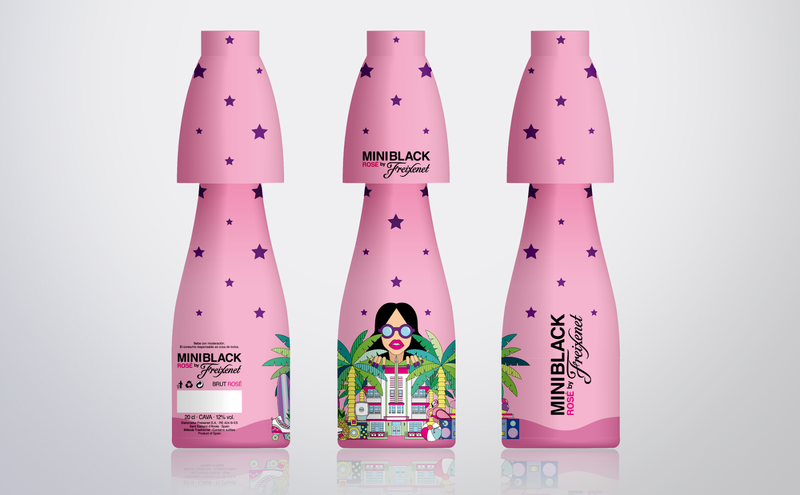 To this territory, stylistic and conceptual, we have called it Miami Glamour Pop. A place of color and warmth, of music playing in every corner. A sun-tanned world with endless beaches where you can spend the best holidays of your life. We have sought to capture the Miami spirit in a sensorial and emotional way. 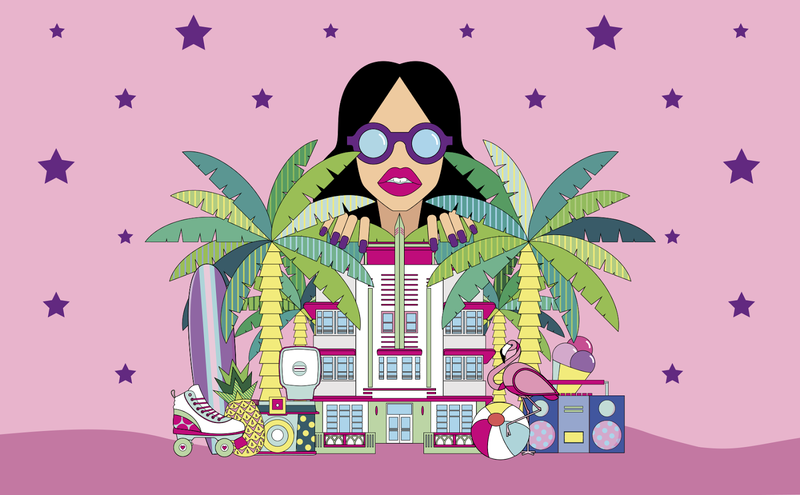 To achieve this we have defined a chromatic palette based on its architecture of pastel colors and designed an iconography inspired in its always clear skies, green palms and characteristic Art Deco buildings. 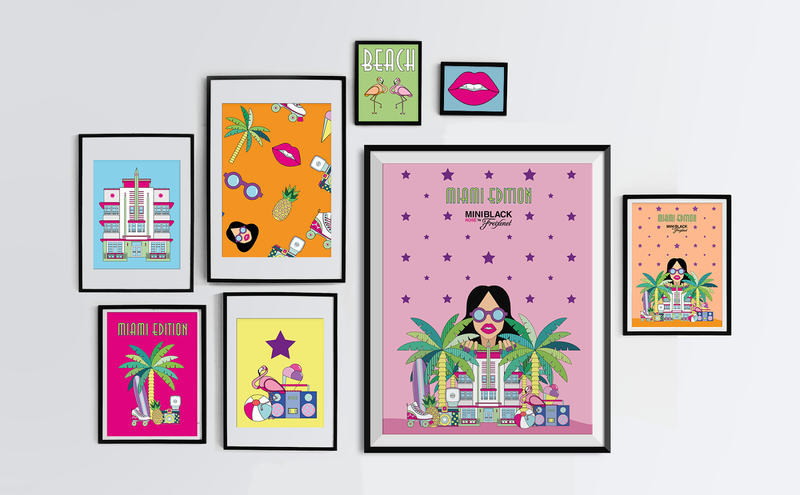 With all these recognizable symbols of the city, we have created our own personal landscape of Miami in a series of vector illustrations conceptualized and produced by us.